Need a new pair of shoes for the changing fall weather? You’re in luck! Naturalizer is hosting its Friend and Family event Oct. 6-10. 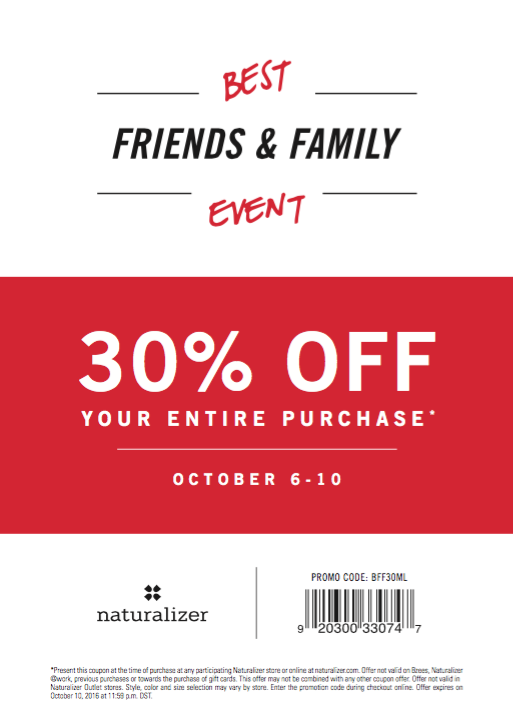 Present this coupon at any participating Naturalizer store – like the one at Peachtree Center – and receiver 30 percent off your entire purchase.